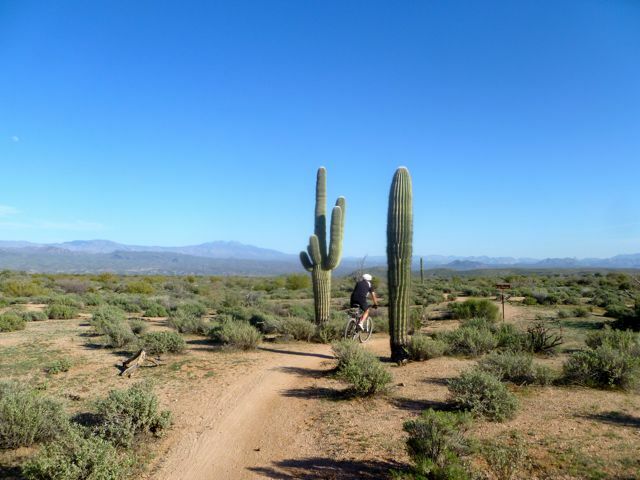 Imagine gliding down a perfect winding singletrack mountain bike trail for mile after mile through the Sonoran desert landscape, jagged mountains in the distance, birds flittering in saguaro cactus, a wide smile plastered on your face. You are downhill on the north segment of the Pemberton Trail in McDowell Mountain Regional Park, located in the McDowell Mountains between Scottsdale and Fountain Hills east of Phoenix. 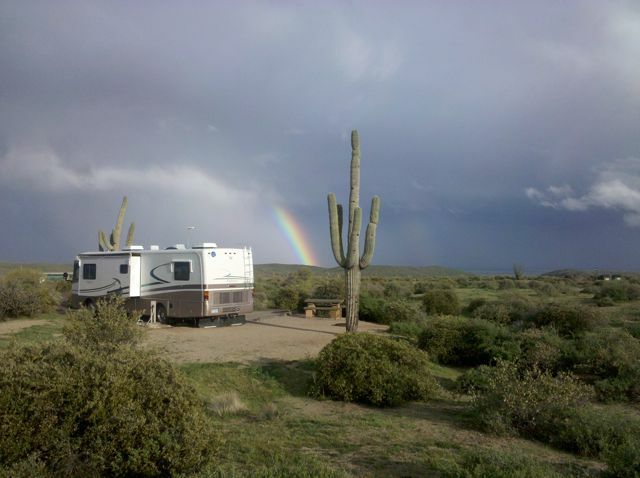 You can finish the ride in the comfort of your RV if you’ve secured a precious site at the beautiful and popular Maricopa County campground. 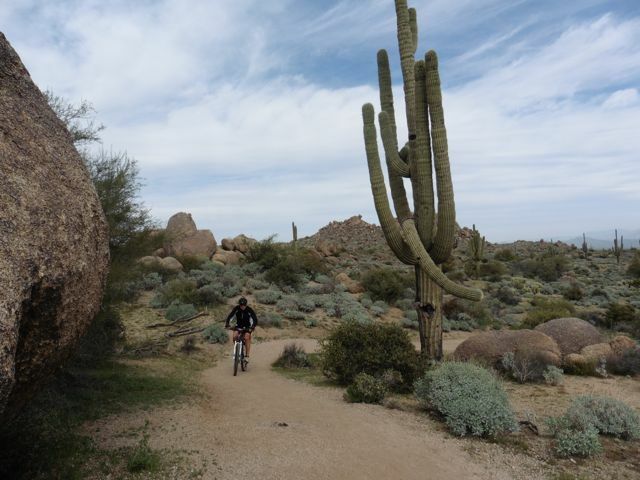 About 45 minutes to the south is Usery Mountain Regional Park east of Mesa, where you can also camp out and hop on magnificent mountain bike trails. Usery is flatter with more lush vegetation, whereas McDowell is on a gradually sloping alluvial plain with many more miles of trails and more of a wide open feeling because much of the park burned in the 90’s. 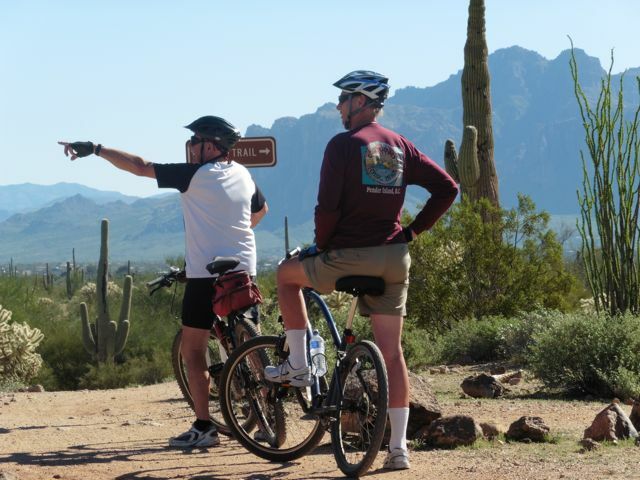 The adjoining Scottsdale McDowell Sonoran Preserve extends the 50 miles of trails even further. 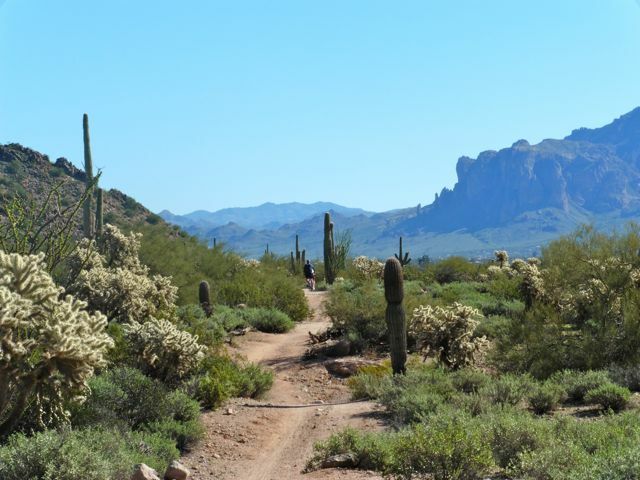 Both have fabulous views of the Superstition Mountains and most of the time no civilization is in sight, a different world than the nearby Phoenix metro area. The vast majority of the trails are non-technical, with few rocks or challenging pitches, perfect for the everyday mountain biker who likes to enjoy the outdoors and get a good workout. 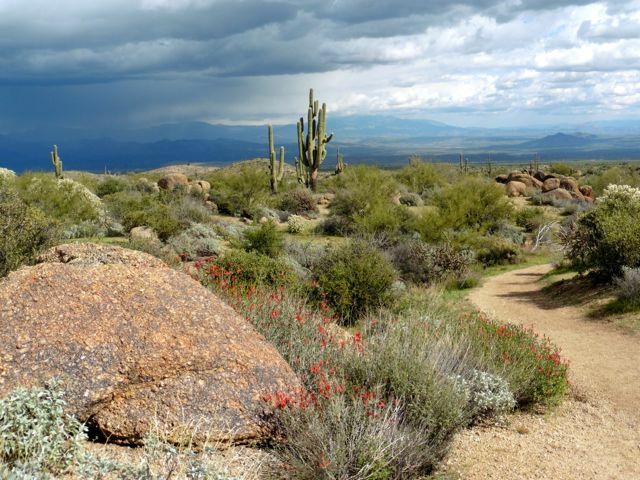 Beautiful vistas abound on the Usery park trails, especially looking to the east. The RV campground at Usery Park with Usery Mountain in the background. 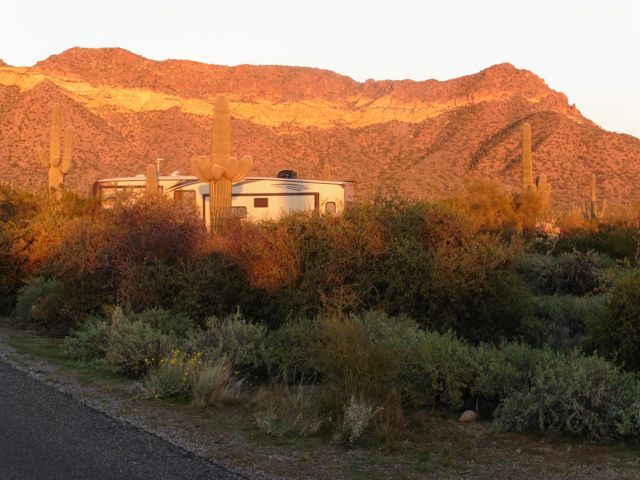 Set amongst lush Sonoran vegetation with partial hookups, reserve early for this popular Maricopa County Campground ($30) that is about a mile along the park road from the MTB trailheads . Signed trail junctions on the fabulous Usery Park trails. Spacious campsites with electric and water hookups with MTB trailheads all around it make the campground at McDowell full most of the winter. Gliding down the lovely Pemberton Trail at McDowell Park. Cycling near the dramatic granite boulders, top of the hill at McDowell park. Trails continue into the adjacent Scottsdale McDowell Sonoran Preserve.